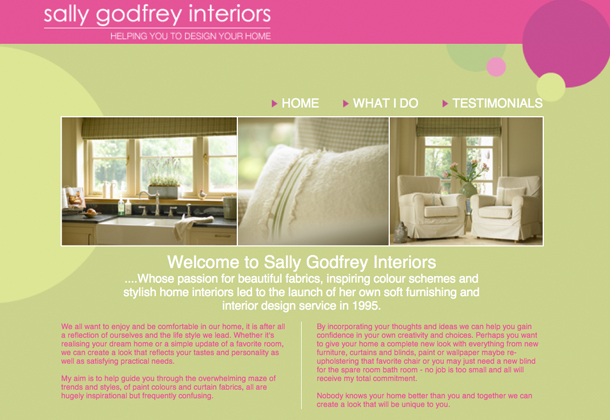 Sally Godfrey of Sally Godfrey Interiors has been with Boo Design right since we launched the business back in 2005. She even helped design the studio! 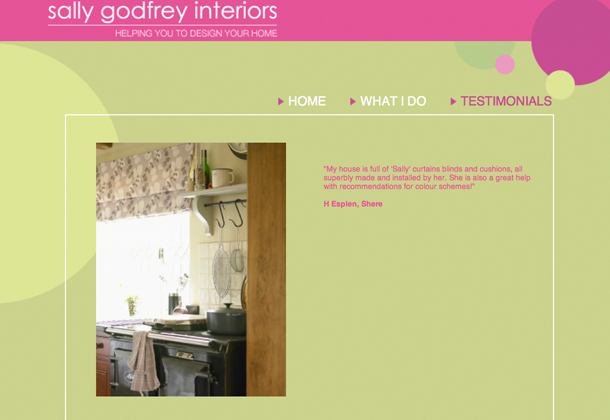 It was only natural that she would ask us to design her website. 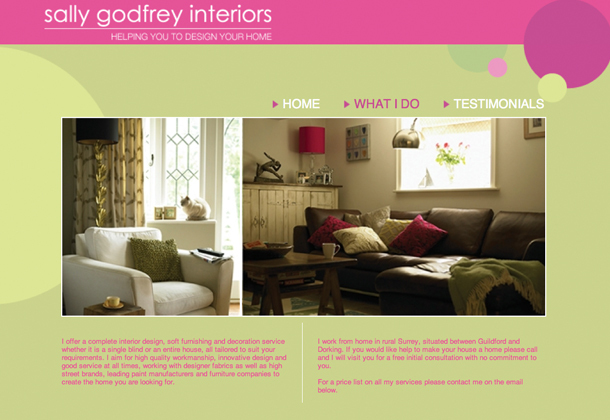 Using a colour scheme which reflects her design style we were able to offer her a simple but stylish design. If you pop into the studio you will see Sally’s handmade cushions on display!